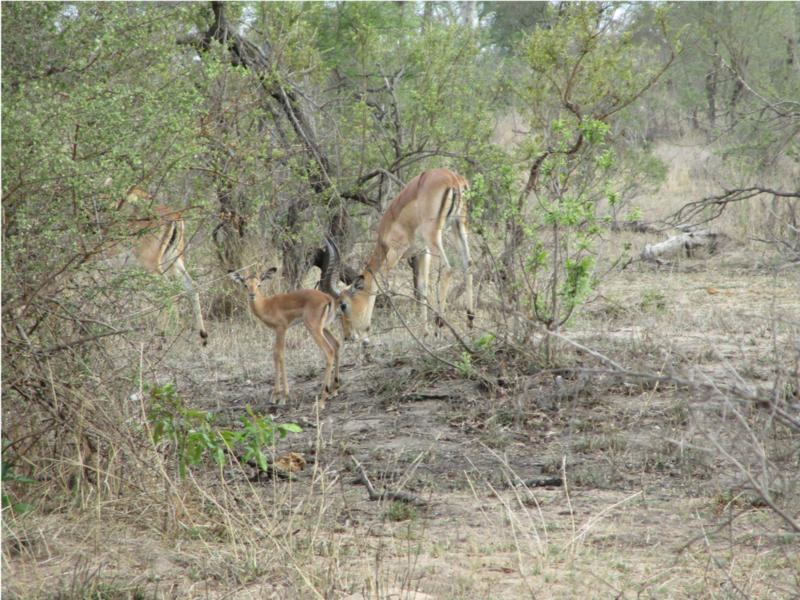 I of course am talking about this little one, brand new to Sabi Sands… A newborn baby impala. One of the impalas most successful tactics in remaining numerous, is their breeding strategy. 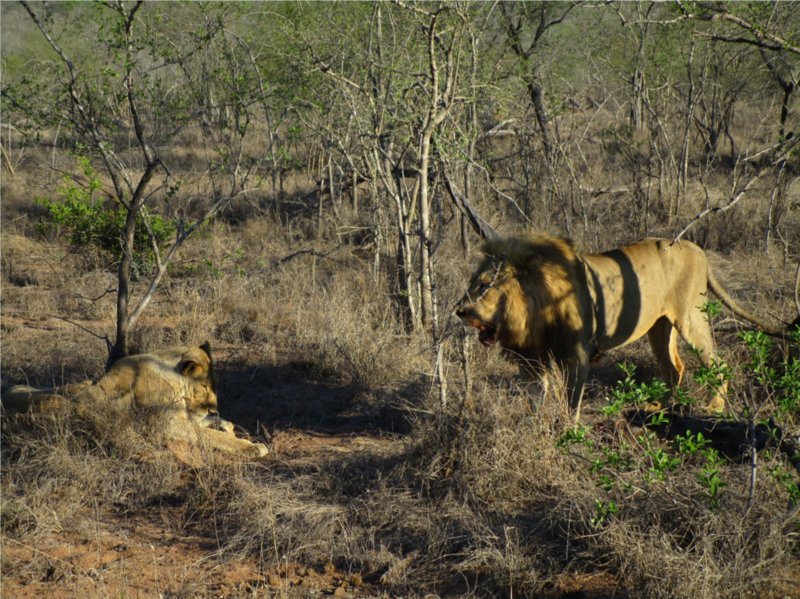 At the end of January, shorter days trigger an increase in testosterone in the males and they separate from their bachelor groups and begin the arduous task of setting up territories. These need to contain good food and access to water – the resources that will lure the females. Males rush about chasing contenders away, tails extended and they issue fierce roars that might confuse first-time listeners into believing the sounds are from more than a mere impala! Females are also herded into the territory in this way. More serious encounters between rams will involve horn clashes. The month of May is the peak of the rut and by this time, the rams’ cavorting has induced the females to come into oestrus. This is a short-lived period for the ewes. Within about a three-week period all the females will be mated. This has the knock-on effect in that by late November or early December, all the impala lambs in an area arrive within three weeks. The flood of newborn impalas provides a glut for predators, but even they cannot eat all the lambs and a large proportion survives to bolster the impala population. The intensity of the May rut is such that males are so busy herding females and warding off intruders that they do not feed or groom, and they can thus only manage to hold territories for about eight days! This ensures different genes are introduced into a given herd and that only the strongest contestants get to mate. It is always great to see these little ones! 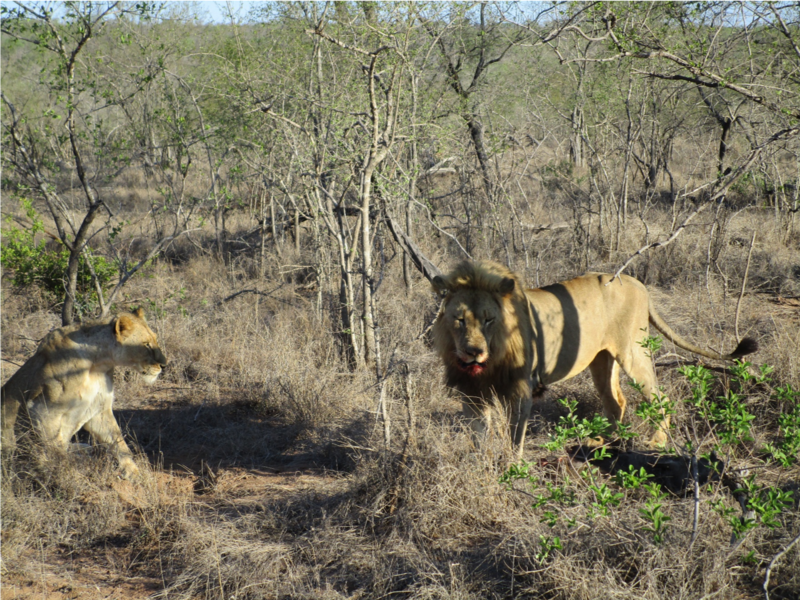 According to the annual census for 2018 done by Sabi Sands this September, the Avoca Coalition consists of five dominant males. Three in the north where we are, and two down in the south. 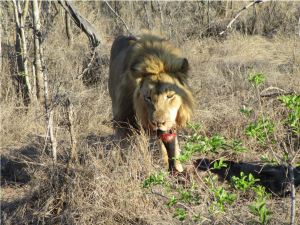 The picture above taken a few days ago is of one of the three Avoca males that hang out in the north, predominantly in Djuma and Manyeleti, both areas where we cannot traverse. 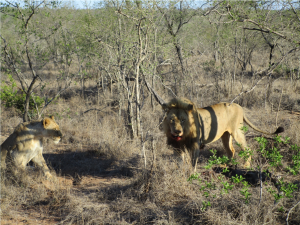 So you can imagine how surprised and chuffed we were to find out that one of the Avoca males decided to come a bit more west onto an area where we can traverse!! The last time we saw an Avoca was almost two months ago! See how he is keeping a close eye on her, even though he was actually done feeding and was getting a bit hot and started to move into some shade. As soon as it looked like he might leave, the lioness tried to approach the warthog very cautiously. However, when he noticed her he quickly cut her off and as you can see above she then just sat down submissively. 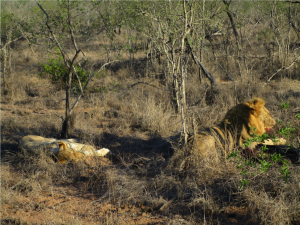 Once the lioness went flat the Avoca male also sat down, but right on top of the warthog! Must say though it was pretty neat to see an Avoca Madota! !